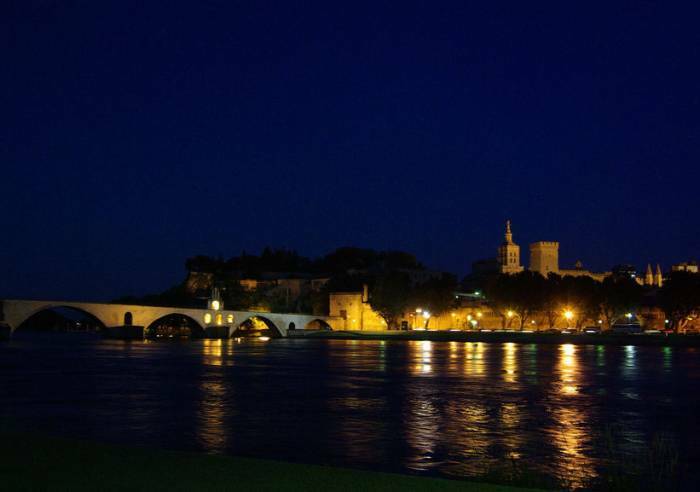 A visit to this Unesco World Heritage site provides a wonderful introduction to the history of the city. 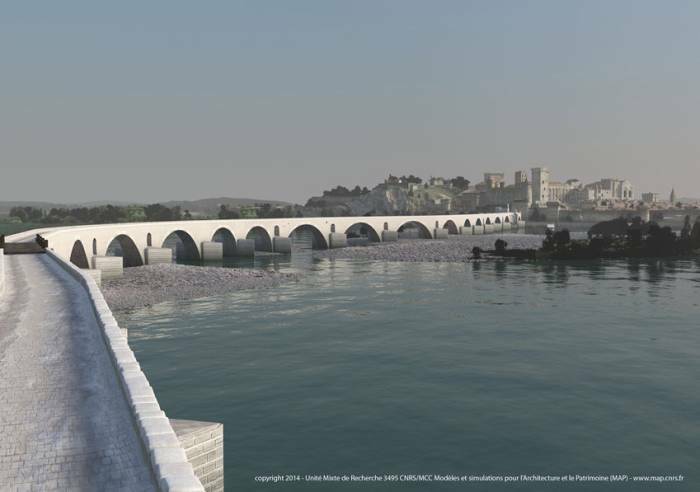 The story of the bridge is closely linked to the life of the Papacy during the Middle Ages; it was part of the pilgrimage route between Spain and Italy, a control centre for waterway traffic and toll bridge … until it’s demolition during the 17th century. 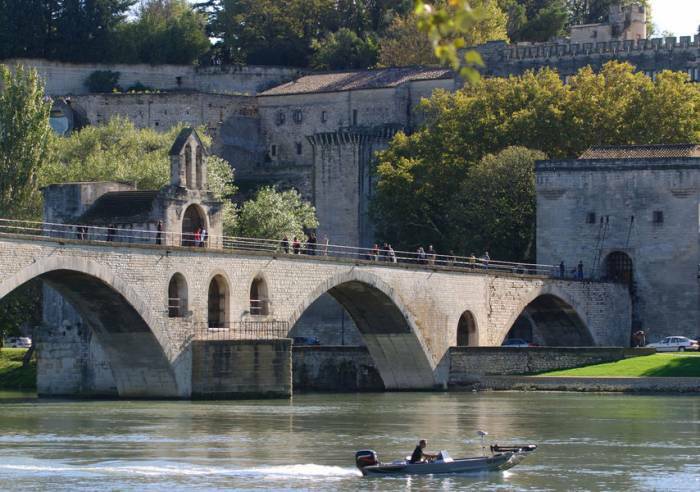 An exciting visit that tells the story of Avignon and the Rhône, the legend of Saint-Bénezet and that of the famous song. 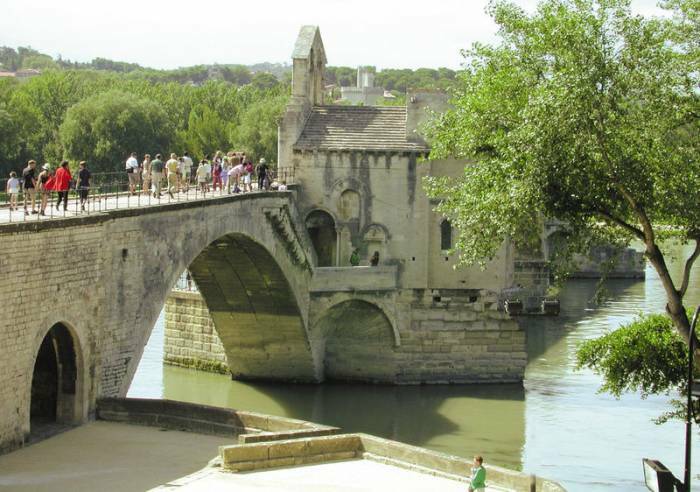 Avignon bridge (Saint-Bénezet), which stands as a silent witness to the river and the city’s past, was built from the 12th century onwards, damaged numerous times by wars and floods, rebuilt and then finally abandoned in the 17th century. You can learn about the human and scientific feats required for its construction in the digital space. 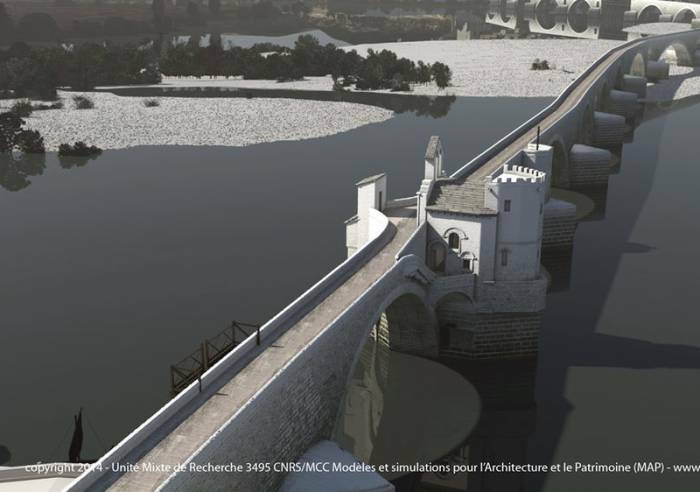 A 3D display shows the bridge linking the two banks, spanning across from Avignon to Villeneuve lès Avignon in 1550. 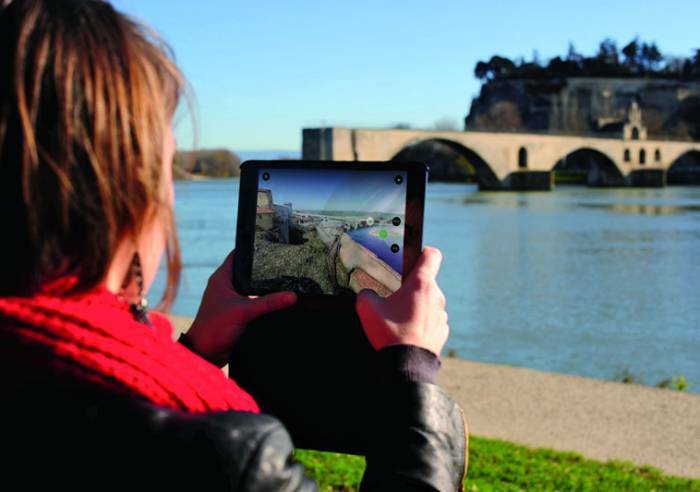 Touchscreen tablets in French and English offer a lively guided tour of the monument, taking you through its chequered history. Audio guides available in 11 languages, with a special audio guide designed for 8-16 year olds. Free entry for under 8s. 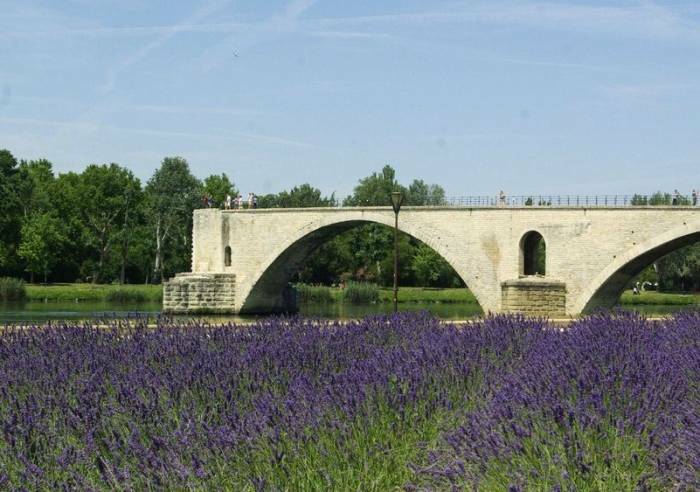 FAMILY rate for “Palace + Bridge ” ticket/2 adults + 1 child: €37 / 2 adults + 2 or more children: €45. 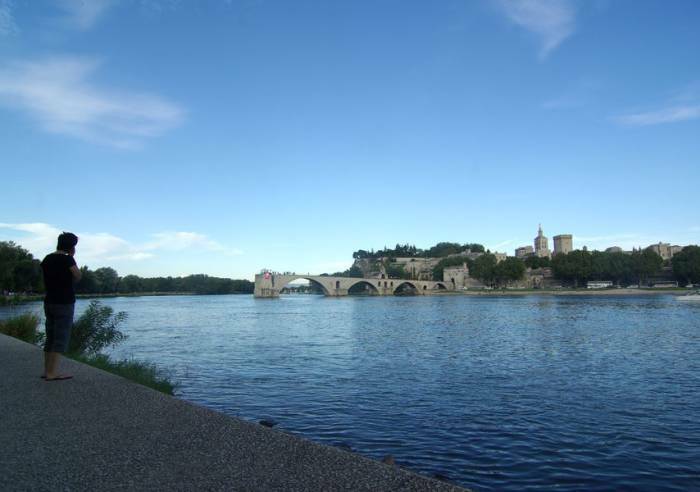 The multimedia apps can also be downloaded to smartphones or tablets from AppStore and Google Play, or at a special terminal in the entrance area of the Pont d'Avignon (subject to modifications). American Express, Bank/credit card, Cheque, Chèques Vacances, Cash. , Lift, Toilets, Car park, Parking, Coach parking, Pets welcome, Shop, Guided tours.